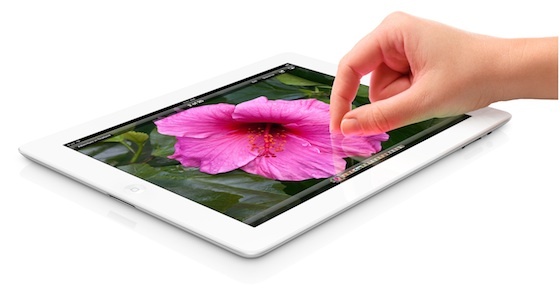 Despite 4G technology being one of the most-touted features of the new iPad 3, SlashGear have noted that the iPad 3 will be incompatible with the LTE networks being rolled out in countries outside the United States. While the iPad 3 supports data transfer rates of up to 73 Mbps on LTE, these speeds will only ever be seen by American and Canadian customers with international users to be relegated to 3G speeds. The new iPad WiFi + 4G put up for pre-order in Europe yesterday supports the same 700MHz and 2100MHz LTE bands as the AT&T version in the US; however, actual LTE roll-out in Europe is expected to use the 800MHz, 1800MHz and 2600MHz bands. That means, even if commercial LTE networks become more commonplace in Europe – which has for the most part remained using the faster variants of 3G technology, such as DC-HSDPA, which the new iPad also supports – the Apple tablet is unlikely to be compatible with them. The Wi-Fi + 4G iPad 3 that is being released in the ten international launch countries is the same as that being sold in the U.S. on the AT&T network, despite international networks not running on the same frequency bands as AT&T. Apple have admitted the issue and thus far only offered up the concession that if international users visit the U.S. they will be able to access the AT&T LTE network on their iPad. iPads sold internationally will be able to connect to AT&Ts LTE network when in the US with the appropriate SIM and plan. It is unclear at this stage whether Apple will release a different version of the iPad 3 in the future with LTE frequency bands optimized for local networks.